For company 1226364 the "former_names" data in the incorporation statement is clearly being incorrectly applied (it's possible to change your name, likely gender here, nationality ... but not date of birth). I know - it's not a CH error but misfiling by someone. ...are in the "former names" section of the second. 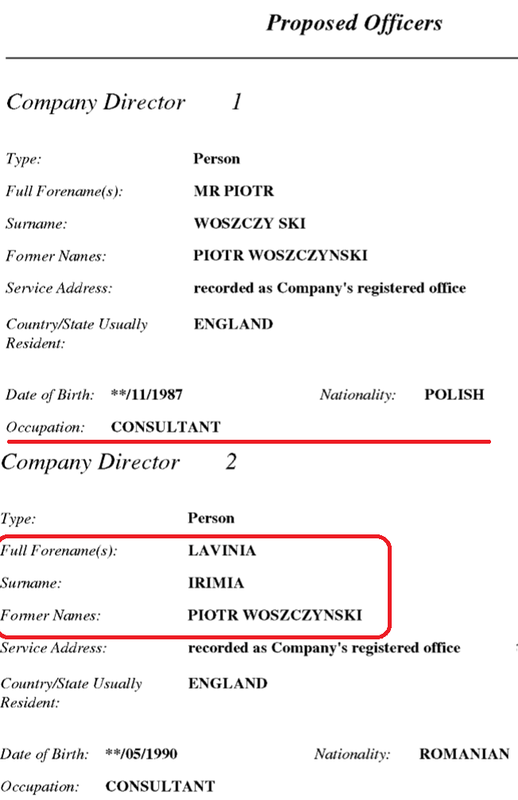 Interestingly (or not) searching on "WOSZCZYNSKI" brings up the correct "Piotr WOSZCZYŃSKI" (among others) but not the entry for Lavinia - does Officers search not check former names then?